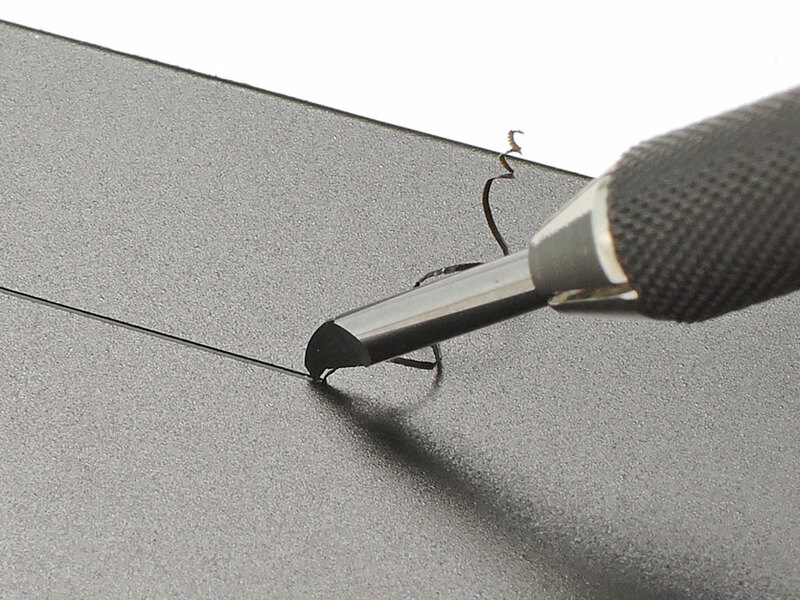 ★This is a precision blade for engraving plastic models, offering an exacting finish and superb durability. 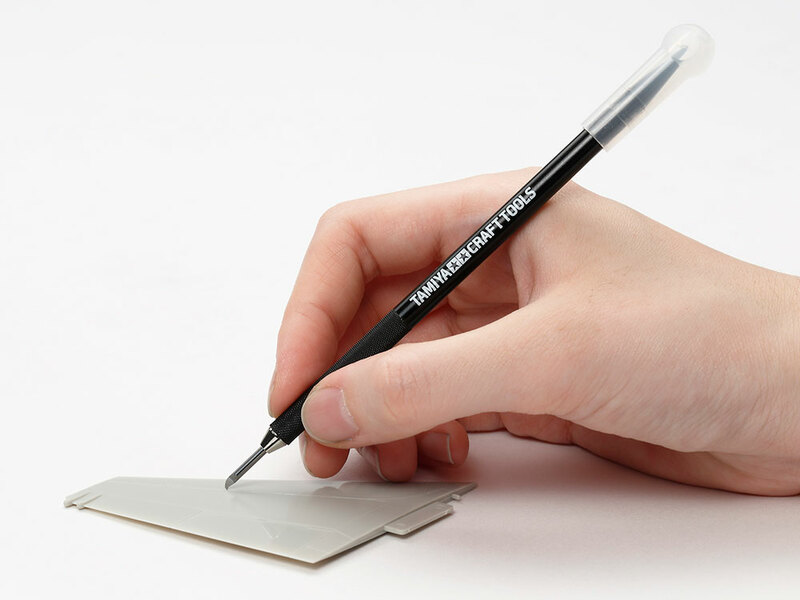 ★Use it to engrave new details or emphasize existing ones. 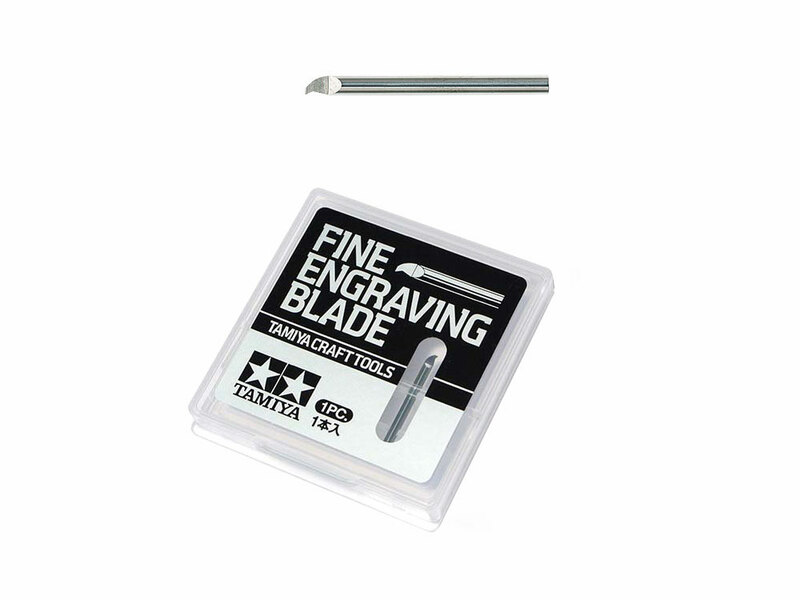 ★Includes one engraving blade, which at 0.15mm is perfect for use on models such as 1/24 scale cars. ★The case can be used to store up to 10 blades. Cut out a section of the packaging for easy color-coded storage (corresponding color is marked on each blade). 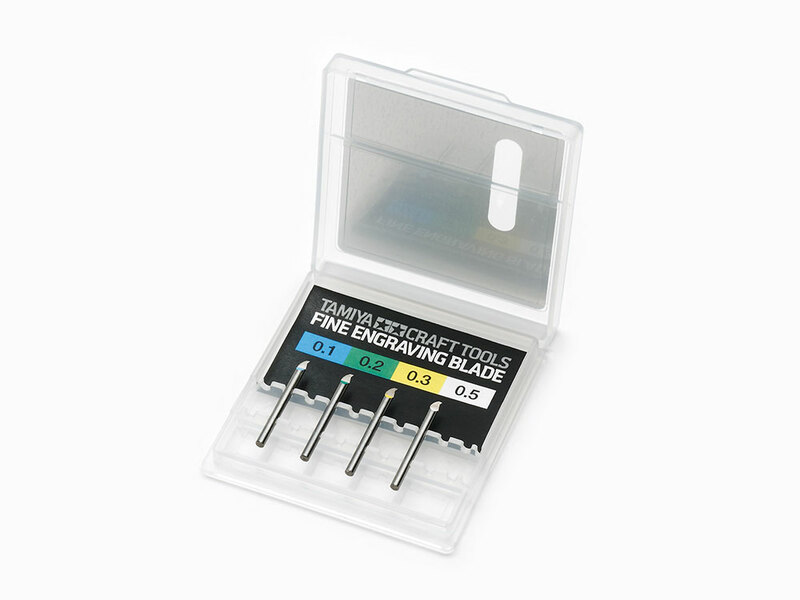 ★Recommended for use with Item 74139 Engraving Blade Holder. ★Comes with a case that can hold up to 10 blade. Cut out chart from packaging for easy differentiation. ★Pull the blade lightly towards yourself for optimal results - no need to push down!